Garden Watersaver helps environmentally-conscious people to easily collect rain water from the roof of a house, so that the water can later be used to water a lawn or a garden, to clean yard tools, or any other non-drinking use. 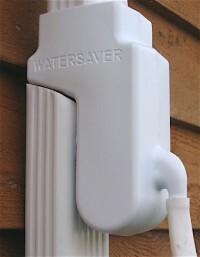 The secret of Garden Watersaver is our unique Downspout Diverter, which attaches easily to any gutter’s downspout. Once in place, the Diverter sends water to a rain barrel through a hose until that barrel is completely full. Once the barrel is full, any extra water simply continues down the downspout as it normally would, so the process is automatic! 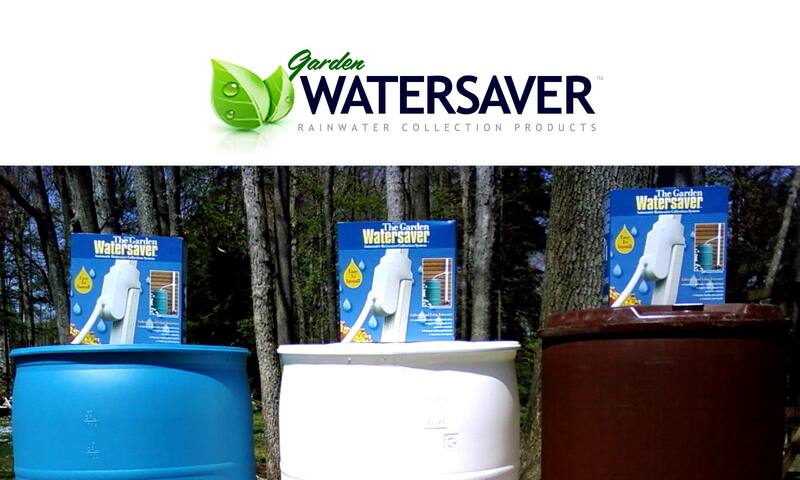 Garden Watersaver also packages its Downspout Diverter with all of the other products necessary to build a rain barrel and maintain a water collection system. It’s all here! We invite you to look through this website at all of the ideas offered, then begin collecting rain water in a rain barrel of your own. Have a question about a product or its use? Call Garden Watersaver toll-free at 1-888-232-6414 or email us!